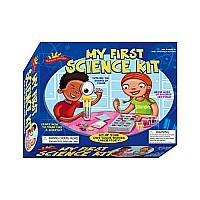 The perfect science introduction for younger kids. Set up a color mixing lab, perform 10 science experiments, grow gobs of crystals in 24 different hues, and capture a rainbow in a tube. 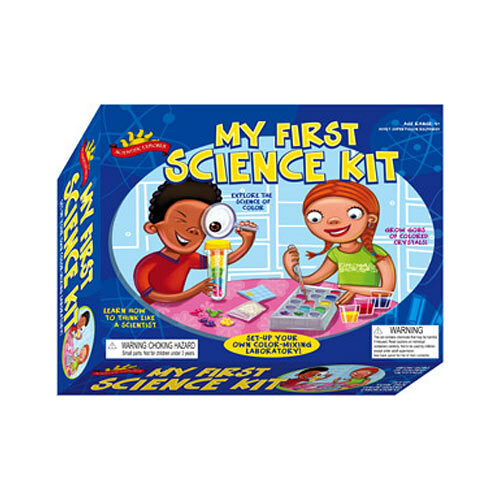 Using this kit, young scientists can: -- perform 10 hands-on science experiments -- set up their own color mixing laboratory -- turn their favorite colors into brilliant soft crystals -- capture a rainbow in a test tube -- learn how to think like a scientist -- become a color-mixing detective -- grow soft crystals and explore color science Scientific Explorer kits have won praise and awards for fun and educational value from the Parents? Choice Foundation, Oppenheim Toy Portfolio, DR Toy, Family Life Magazine, Discover Magazine, Scientific American Explorations Magazine, and many others.